Just back from life drawing at Swansea Print Workshop and I am pretty tired now. 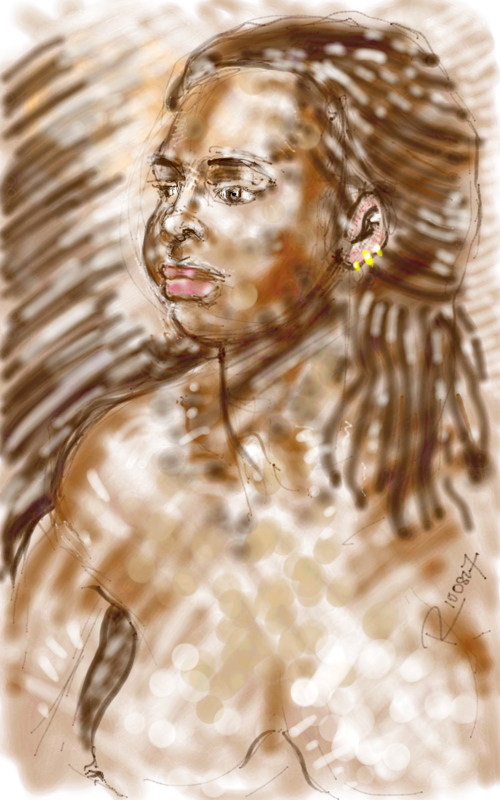 I was working with a marvellous young model this evening, using my Samsung Galaxy Tablet Note 8 with the free Markers app. I used my finger to draw as much as I did with the stylus and kept overlaying tones one on top of the other. I made a simple sponge cake for our tea break, filled with home made gooseberry jam, made with fruit from our allotment.